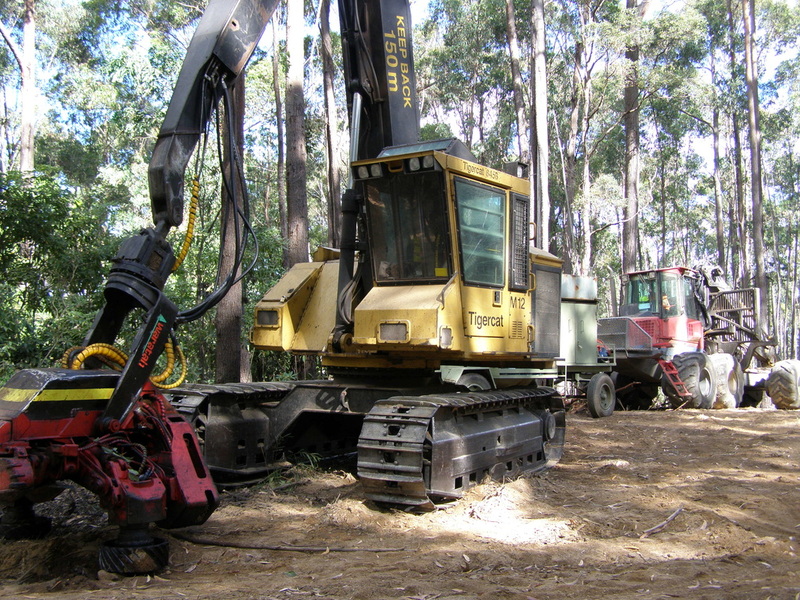 Nothing says it like these photos, showing what a forest should look like, and what many forests in Australia look like today. 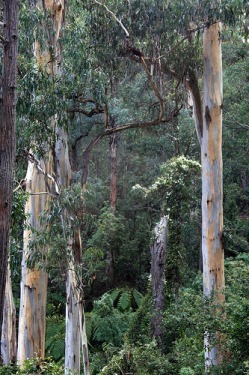 This massive tree, hundreds of years old and once home to thousands of native creatures, was felled to make woodchips. 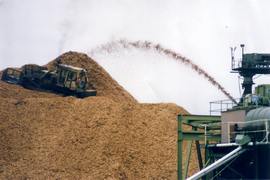 Half a million tonnes of logs a year are processed by this chipmill alone. 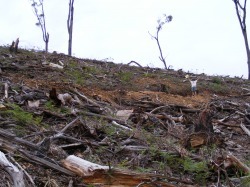 Prue Acton from SERCA in a ravaged landscape after logging for woodchips. 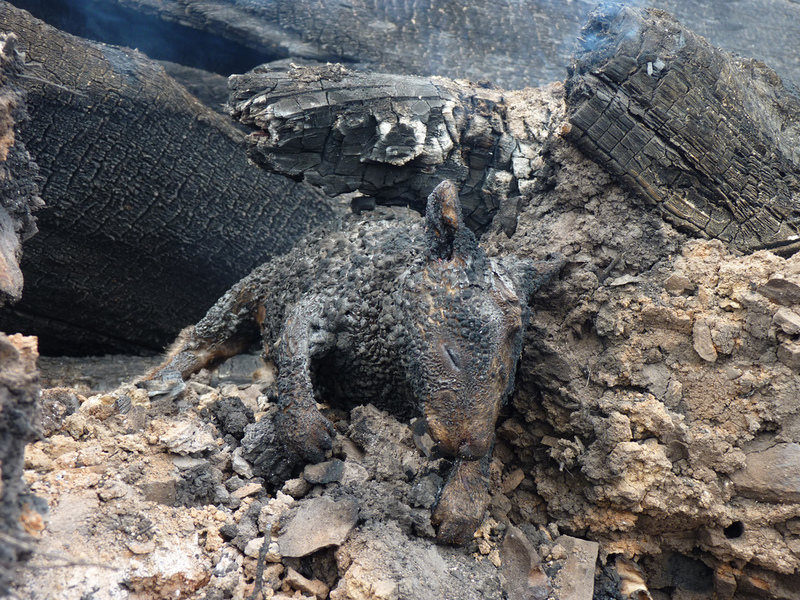 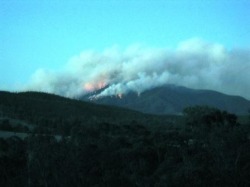 This fire was deliberately lit by ForestsNSW in extremely hot and dry weather conditions and got out of control, burning large areas of the national park. 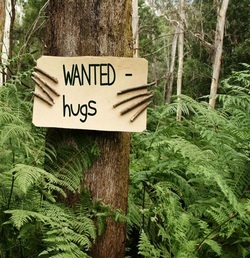 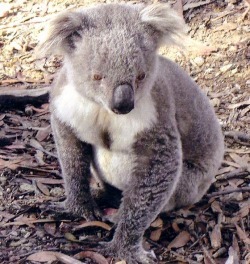 Koalas - too good to lose. 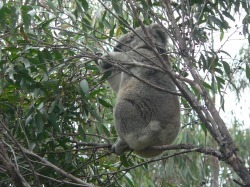 The koala above was photographed in Mumbulla forest on the south coast. 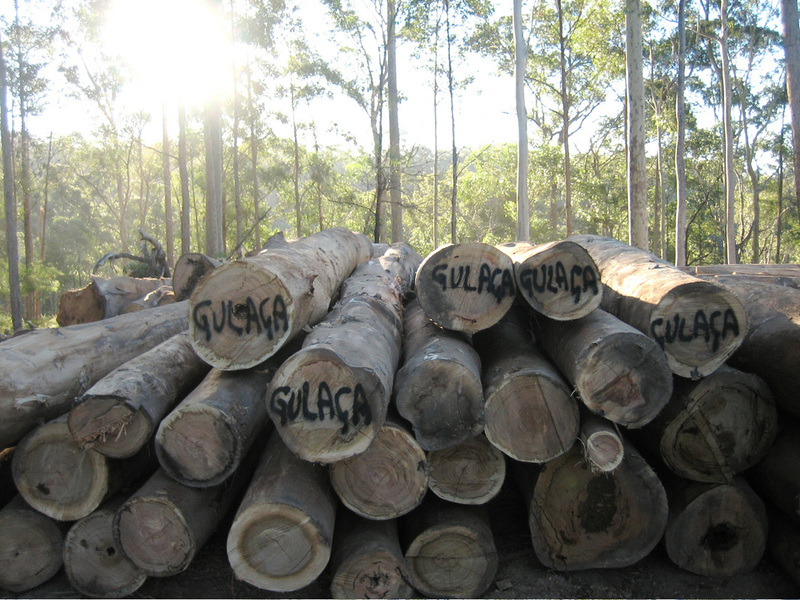 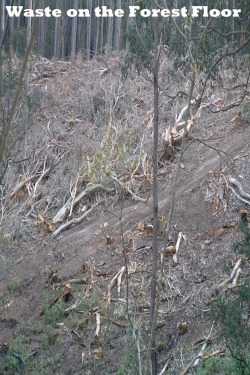 Despite a government report that confirmed a small healthy colony of around 50 koalas, ForestsNSW logged this forest in March 2010. 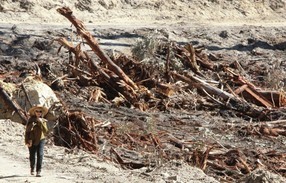 The one below is already gone, along with its critical habitat. 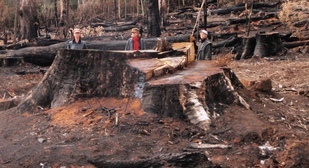 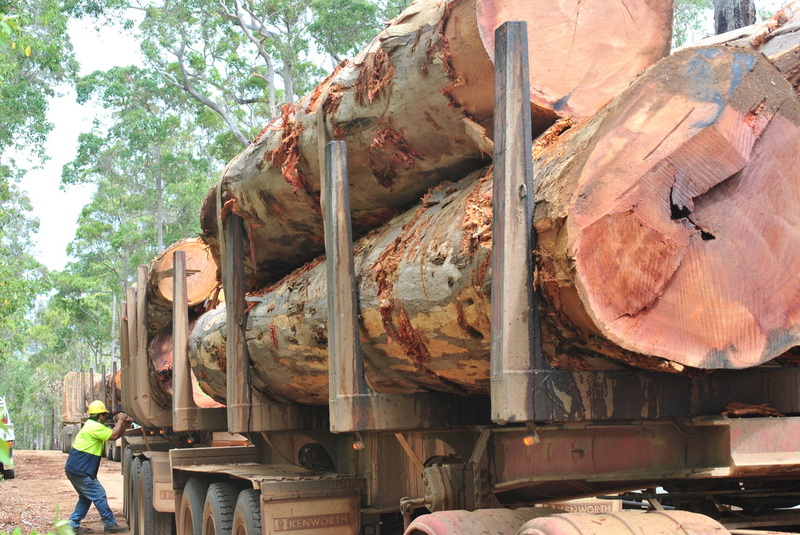 This landscape is the result of a logging operation by ForestsNSW. 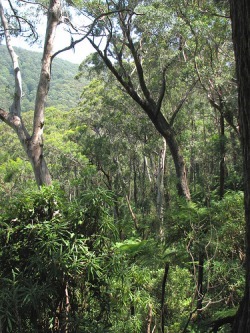 Large, old habitat trees are legally required to be left for animals and birds, but in practice, this is rarely the case. 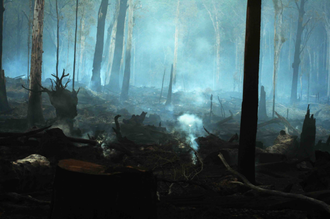 Photo courtesy of Lisa and Tony. 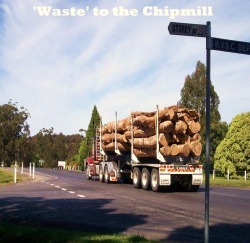 The Eden chipmill once claimed to use the 'waste' from high value timber logging, but in practice it uses only who logs and always has. 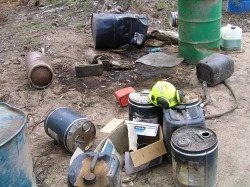 The Crowns and butts, the 'waste' are then burnt on the ground.